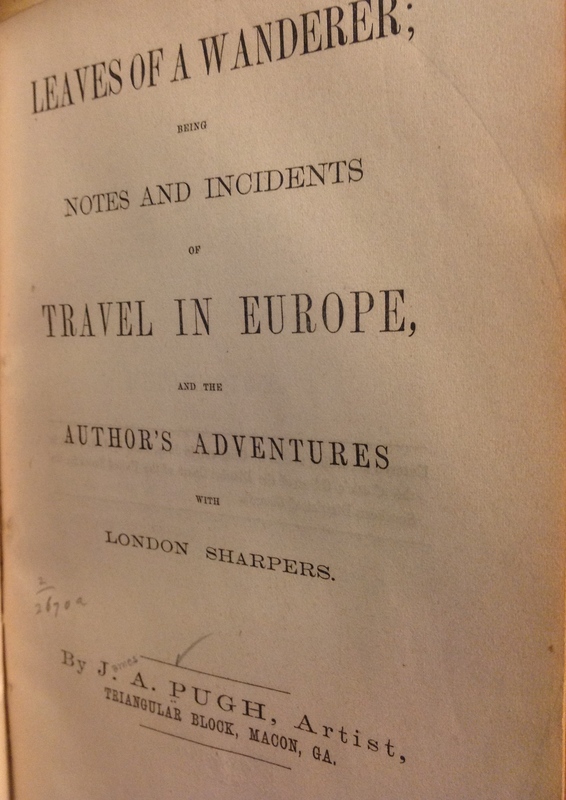 When I last posted here I was getting ready for a trip to Washington, D.C. where I hoped to do some research as well as to attend the annual ARLIS/NA (Art Libraries Society, North America) conference. I did both of those things. I spent a fantastic one and one-half day of research before the professional meeting actually began for me. In addition to sessions, I attended two wonderful receptions associated with the meeting — one at Dumbarton Oaks and one in the Great Hall of the Jefferson Building at the Library of Congress — and I took a well-conducted and well-paced behind-the-scenes tour of the Folger Library. On my last full day there, which I gave to myself, I went to see some wonderful photography exhibits at two Smithsonian institutions. 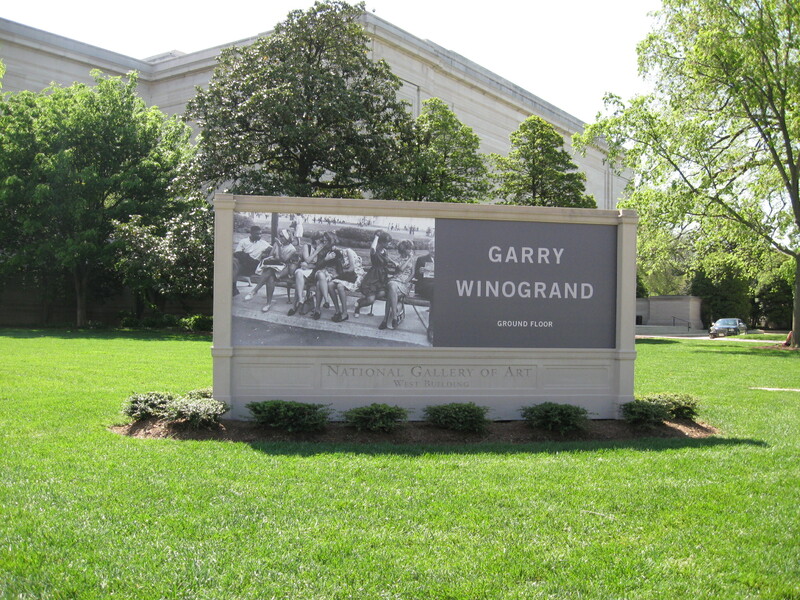 At the National Gallery of Art I saw a fine exhibit of Gary Winogrand’s street photography. I was sorry not to see more that was on exhibit at NGA (I visited the shop, of course), but there were several photography exhibits I wanted to see elsewhere. It was almost noon when I got to the National Portrait Gallery. After being on my feet another few hours and a few exhibits, I rested over lunch at their lovely Courtyard Cafe, then went back to the hotel to change my shoes and returned to NPG for more photo exhibits. There is a wonderful small exhibit on the work of the “Meade Brothers: Pioneers in American Photography” there. Until seeing this display I was unaware that their sister ran the gallery for several years. Always interesting to know about another woman associated with photography in the mid-nineteenth century. “Mathew Brady: Photographs of Union Generals” was more interesting than I expected it to be. I often feel we are “over-Bradied” or is that “over-Bradyed”? and expected to see the same images I had seen before, but no, I had not really seen them all, of course I had not! This exhibit also includes some photos which were part of an older exhibit, “Faces of Discord.” This area includes images by photographers other than Mathew Brady. Included here is an albumen card photograph by Savannah’s D. J. Ryan. The photograph is of Joseph E. Johnston and Robert E. Lee and it was taken in Ryan’s studio in April 1870. Johnston lived in Savannah and worked in insurance, and this was the first time the two men met since the War’s end. Unfortunately, in the caption for this photo, they have perpetuated a mistake with D.J. Ryan’s name – his first name was not David, it was Daniel. I can also provide them with his date of death and his obituary as soon as I can find the correct contact person at the NPG. The quite fine photographs of “Yousuf Karsh: American Portraits” is mounted on the same (first) floor as the other two exhibits, and quite a departure from those 19th century photographs I came to see. Upstairs is another group, a large group of 20th century and 21st century photographs in the fantastic, wonderful “American Cool.” This exhibit is divided into several generational groups in various rooms. I cannot tell you what fun “American Cool” was for me to see. I especially liked the 1954 portrait of Dizzy Gillespie by Lisette Model, and the one by Diane Arbus of James Brown in 1966, but there were several others that I’d never seen before that were just as wonderful. If you love popular culture, or music and music history, this is the very exhibit for you! Now, back to the research I did. 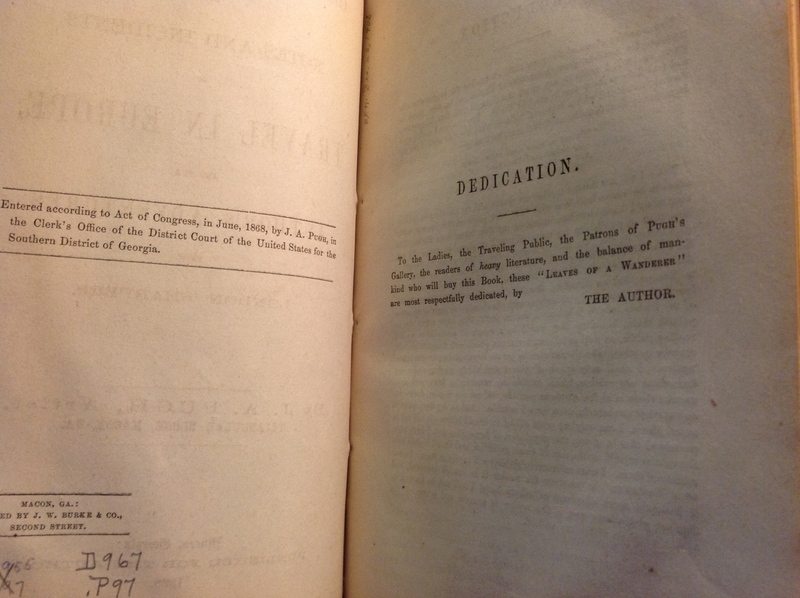 After a bit of difficulty, I finally got to see one of the two (cataloged) copies of a little book by Macon, Georgia photographer James A. Pugh, Leaves of a Wanderer, at the Library of Congress. Wow! The catalog record states that one can request this book either in the LC Madison or Jefferson buildings. I was in the Madison Building that morning by 10 a.m. in order to renew my Reader’s Card. Since I was already there, I went to the Manuscripts department and did a review of the George S. Cook Account Books, which I had first seen in 2004 (ten years ago!) when I spent two days with them. I did not expect it to take long for me to review it, and leave. Because I know a lot more about Cook’s work in Georgia now than I did then, I was looking for different things, and found quite a lot. I spent four hours with that collection, and made many, many notes. One big discovery for me is that I found out that yes, Cook did list “Supplies Sold in Milledgeville,” right after his Macon list. I had originally transcribed it as one and the same. My bad. You can bring your iPad or laptop into the LC reading rooms now, and they have wifi almost everywhere in the building. This was wonderful news to me, and so useful. Because I uploaded some of my data to Google Drive earlier, I was able to access it and refer to it there in the Manuscripts reading room. By the time I went over to the Jefferson Building to request the Pugh book in the lovely Main Reading Room (where you cannot take photos, so I have none) it was later than I thought it would be. Once the item was requested I waited there for close to one and one-half hours. When a group of books came in. I asked if mine was among them and was told no – sigh. A reference librarian working there, whose name I did never did get, finally solved the mystery. 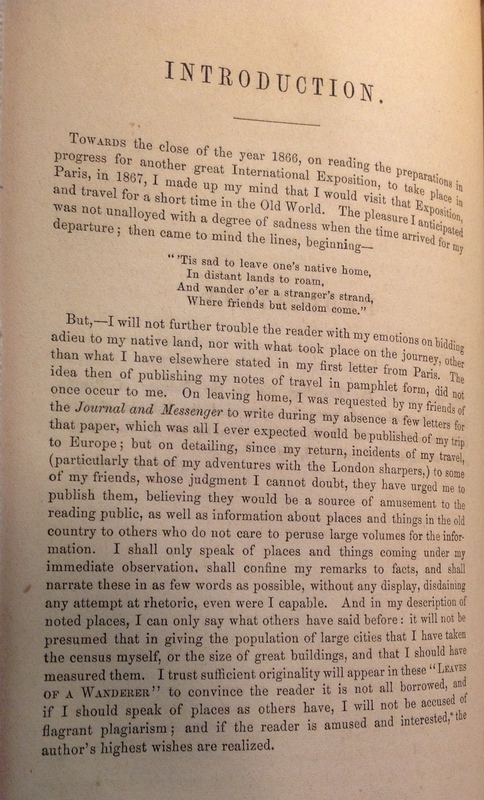 First he left and looked for the book himself, and when he returned empty-handed, he finally discovered, via their non-public records, that they had moved the 1868 publication to Rare Books! Let’s hope they change that public catalog record. Although the Main Reading Room is open late on a Thursday, Rare Books closes at 5 p.m. After registering, I saw the book for only about 15 minutes before closing (so I went back for two hours with it, the next day after my Folger tour). OH! 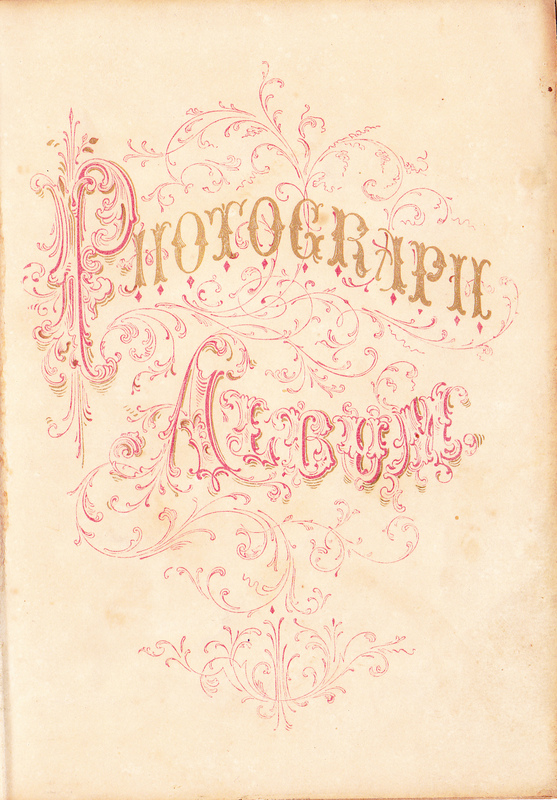 The most beautiful Albumen print of J.A. Pugh is in the front of the book. He was quite the self-promoter! And joy upon joy they allowed me to take photos with my iPad. They are all a bit “wonky” since the book lies in a cradle and pages are held down with weighted “baggies”. Here are the best crops I was able to do of the Title page, and the Dedication page opposite the Publication Information page. I am saving my iPad photos of the beautiful J.A. Pugh albumen self-portrait for another time. 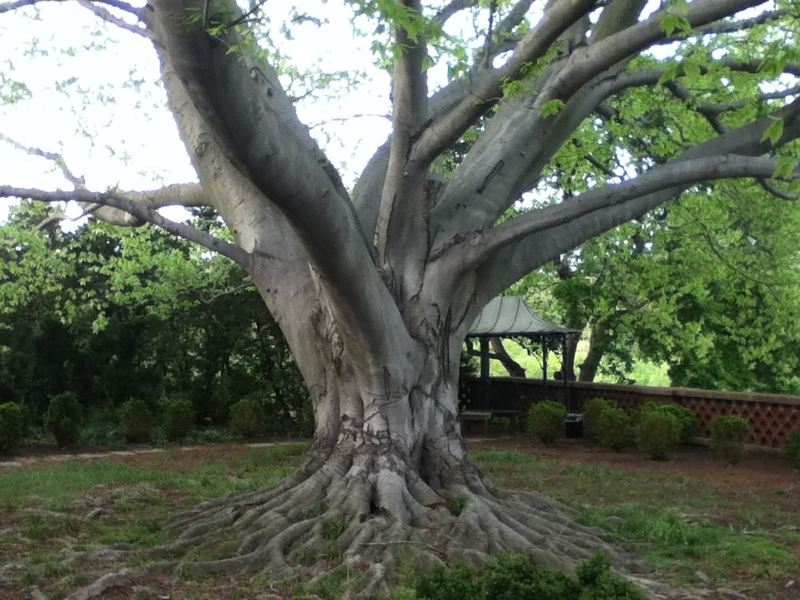 I have quite a bit of photo-editing to do on the several I took, and because I have been working on a post about J. A. Pugh and his brothers, I plan to share the portrait with you in that forthcoming post. I also plan to go into more detail on the book – his beginning photography, his ideas about photography and the fine arts, his opinion of the consequences of “the late war,” and his studio and gallery. So, until next time, have a good time hunting for and gathering together those roots, be they those of photographers or your family, or both! Tags: Books, Exhbits, George S. Cook, J. 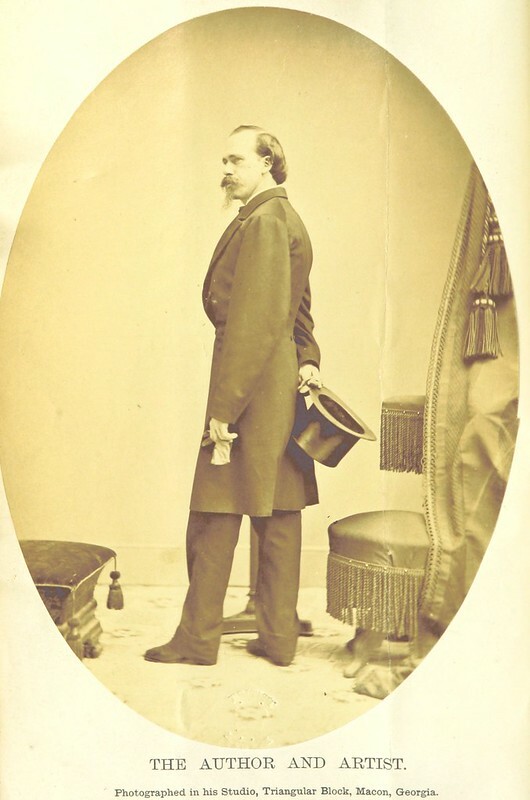 A. Pugh, Library of Congress, Macon, National Portrait Gallery, photograph studios, Publications, Washington D.C.
Hi — so excited to find this post. I found the image of J A Pugh when I was trying to find more people who need articles on Wikipedia. I noticed that his book is now available to download in its entirely from the British Library and thought you might want to know. It’s linked here which is where I found it. This is great to know! I have seen the original and I have a copy I bought a few years ago, but a descendant was looking for one and I will tell her about this, now available. I plan to post on him this year – I have some wonderful images made in his studio. Thanks for the heads up.